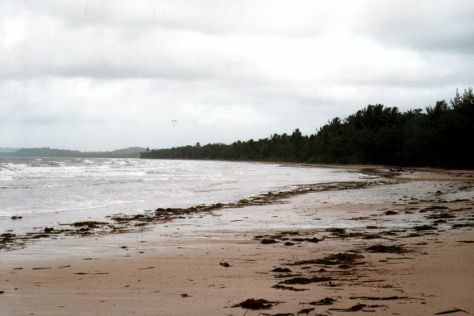 Your itinerary includes some good beach time at Four Mile Beach and Wonga Beach. Spend the 13th (Thu) spotting exotic species with a safari tour. Spend the 14th (Fri) among aquatic life with a scuba or snorkeling tour. There's much more to do: experience rural life at Hartley's Crocodile Adventures, hunt for treasures at Sunday Market Port Douglas, learn about wildlife with up-close encounters at Wildlife Habitat Port Douglas, and explore the gorgeous colors at Opal Reef. For more things to do, where to stay, traveler tips, and other tourist information, you can read our Port Douglas tour planner. Manchester, UK to Port Douglas is an approximately 26-hour combination of flight and shuttle. You can also do a combination of flight, car, and ferry. Traveling from Manchester to Port Douglas, you'll lose 10 hours due to the time zone difference. Plan for a bit warmer temperatures traveling from Manchester in June, with highs in Port Douglas at 30°C and lows at 21°C. Finish your sightseeing early on the 17th (Mon) to allow enough time to travel to Cape Tribulation. Relax by the water at Thornton Beach and Cape Tribulation Beach. Venture out of the city with trips to Cow Bay (Walu Wugirriga Lookout, Cow Bay Beach, & more) and Daintree (Photography Tours & Floravilla Ice Cream Factory). Spend the 20th (Thu) exploring nature at Daintree National Park. There's much more to do: kick back and relax at Myall Beach, take in nature's colorful creations at Marrdja Botanical Walk, tour the pleasant surroundings at Dubuji Boardwalk, and get a new perspective on nature at Daintree Entomological museum. To see more things to do, other places to visit, and other tourist information, refer to the Cape Tribulation holiday builder app . You can do a combination of car and ferry from Port Douglas to Cape Tribulation in 2 hours. Alternatively, you can take a bus. In June, plan for daily highs up to 30°C, and evening lows to 21°C. Cap off your sightseeing on the 22nd (Sat) early enough to catcht the bus to Mission Beach. Kick off your visit on the 23rd (Sun): kick back and relax at Mission Beach, explore the galleries of Helen Wiltshire Gallery, and then see what you can catch with a fishing tour. For ratings, reviews, maps, and tourist information, refer to the Mission Beach travel route website . 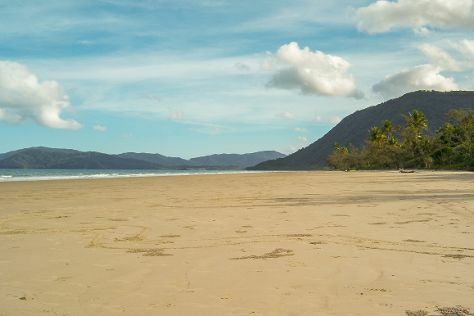 Take a bus from Cape Tribulation to Mission Beach in 6 hours. Alternatively, you can take a bus; or drive. Finish up your sightseeing early on the 23rd (Sun) so you can go by car to Cairns. We've included these beaches for you: Palm Cove Beach and Nudey Beach. Go for a jaunt from Cairns to Palm Cove to see Spas about 30 minutes away. Spend the 24th (Mon) among aquatic life with a scuba or snorkeling tour. Spend the 26th (Wed) wandering through the wild on a nature and wildlife tour. And it doesn't end there: hike along Esplanade Boardwalk, see the world from above with a helicopter tour, take in nature's colorful creations at Botanical Gardens, and view the masterpieces at Doongal Aboriginal Art Gallery Cairns. To see where to stay, photos, reviews, and more tourist information, read our Cairns online journey planner . Drive from Mission Beach to Cairns in 2 hours. Alternatively, you can take a bus. In June in Cairns, expect temperatures between 30°C during the day and 22°C at night. Finish your sightseeing early on the 29th (Sat) to allow enough time to travel back home.